Fenty Bronzers have arrived! 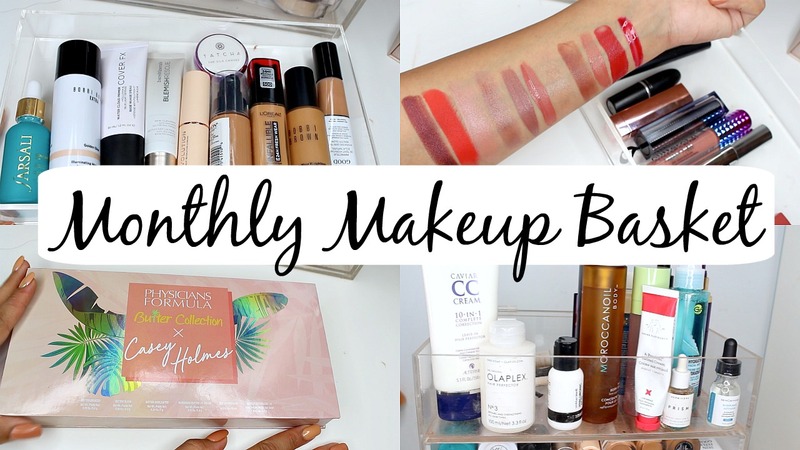 If you'd like to see the full collection swatched head to this blog post. Today I'm watching some of the shades with other bronzers in my collection and hopefully that will help you shade match! 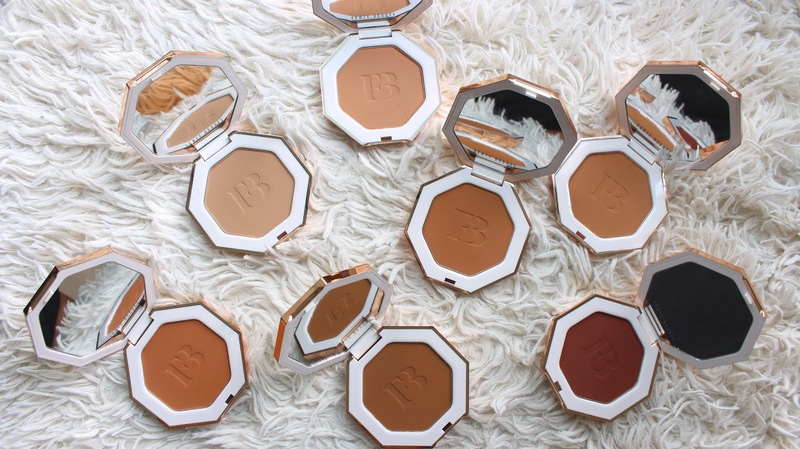 Bronzers especially can be hard to figure out until you actually get them on your face but perhaps this could lead you in the right direction when finding a shade. 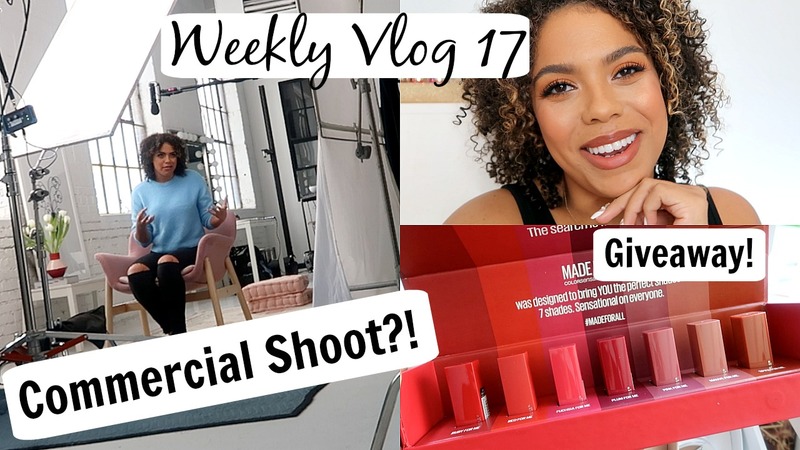 You can also see them in action in a recent Get Ready with Me on my YouTube channel. 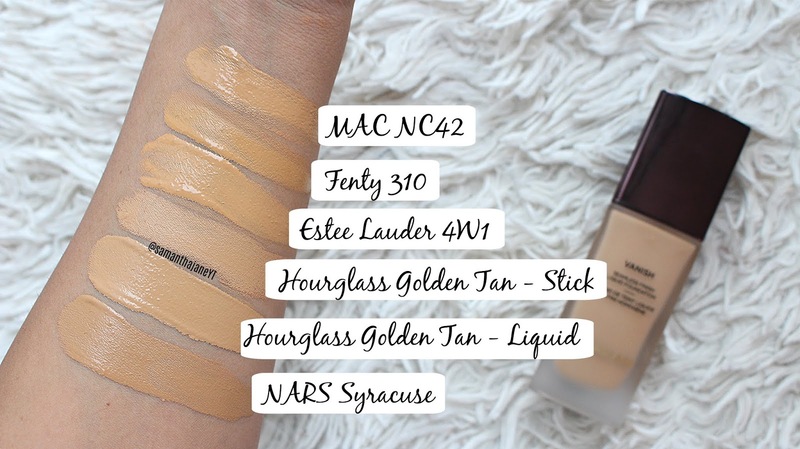 After swatching and testing I think Bajan Gyal and Caramel Cutie would be my preference if you wear 310 in the Pro Filt'r Foundation, I'm also an NC42 at MAC. The Fenty Bronzers are matte as well so that will alter the way they look in swatches next to something like the ABH which looks like it's so much lighter. If you're looking to purchase they retail for $30USD/$38CAD and come in 8 total shades. *These products were sent for my review, all opinions are my own and links are affiliate. YAY! 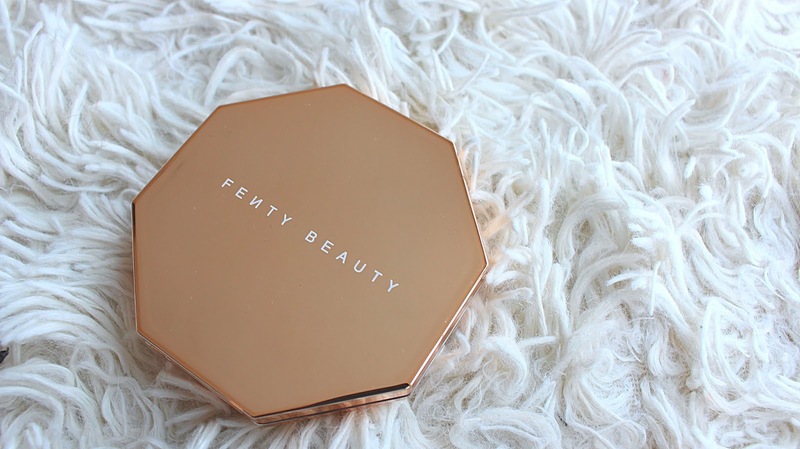 So excited to see that Fenty Beauty is continuing to expand their line and this time it's with bronzers. 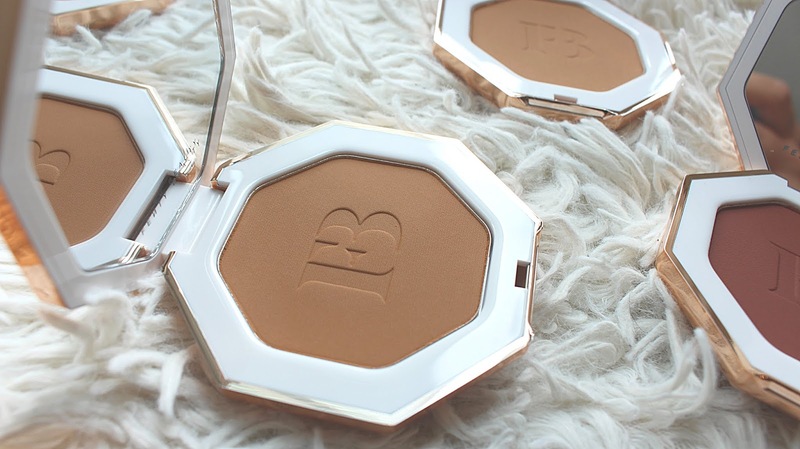 The Fenty Beauty Sun Stalk'r Instant Warmth Bronzer is one of the latest additions to the line and bronzers are kinda my favorite thing lately! 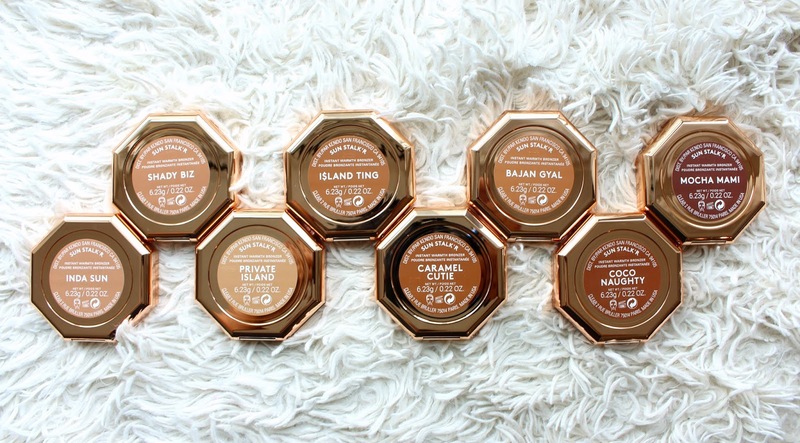 The bronzers come in 8 shades and retail for $30USD/$38 CAD for 6.23g of product which is a little on the lower side, the average bronzer has about 8 to 10g. They're available in North America at Sephora and on the Fenty site itself. The packaging is GORGEOUS! I love the octagon shape is super unique but not bulky or hard to store which I appreciate. It's the same size as the highlighters they have which I love by the way. The bronzing finish is super sleek too, I prefer it over the white - it gets covered in fingerprints and is hard to photograph but it's just so nice! And the "FB" embossed in the bronzer - perfection! The shade range looks good, there's 8 shades which I always appreciate, bronzers have some of the worst ranges out there. I didn't wear bronzer for years because I assumed there wasn't a shade for me. That's changed over the years and it's become one of my favorite products. 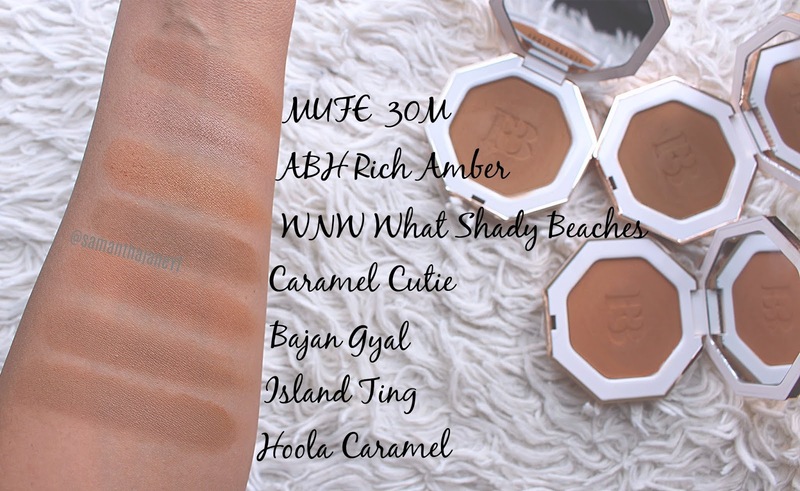 There's a few shades in this line I think could work for me, Island Ting, Caramel Cutie and Bajan Gyal - for reference I wear 310 in the Fenty Foundation. I do however thing it looks like we could use a few more shades and undertones for deeper skin as that is just such a struggle, even more than finding a foundation I think. That being said, bronzer is really hard to judge until you get it on your face so I'm still waiting to see more feedback from others! 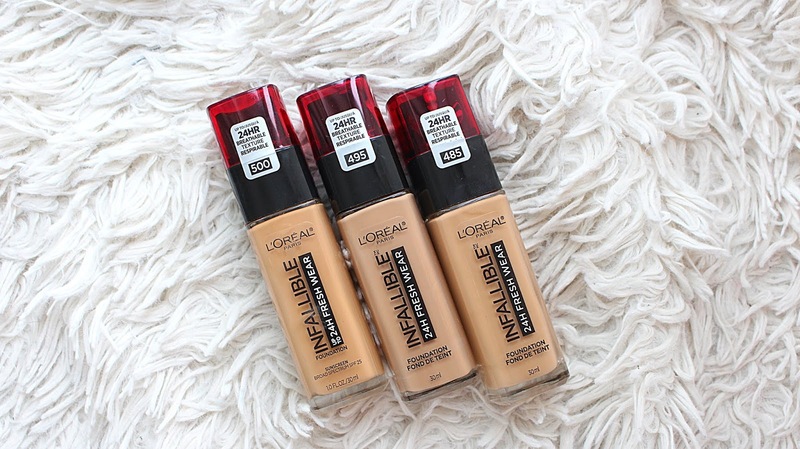 One of the newest foundations at the drugstore is the L'Oreal Fresh Wear Foundation! It claims to be long wearing, transferproof and look fresh all day. See it put to the test in with a wear test on my YouTube channel to get my full thoughts on how it works. I wear shade 485 Golden Sun, 490 is pretty close if you tend to be a little less golden and more neutral. There's 30 shades in the range so you should be able to find something that works for you. 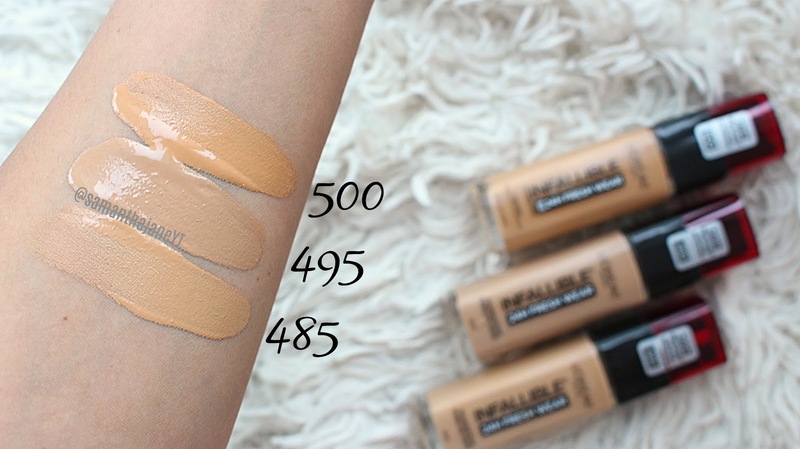 I've swatched the 3 shades I have next to some of my more popular foundations to help you in determining what shade you may be. click foundation below to see review! Maybelline Made for All Lipstick Giveaway! If you don’t look out your window and just look at the gorgeous bag, it’s totally feeling like Spring with the Murale by Shoppers Drug Mart Fab and Free Gift with Purchase! I’m so excited that Murale has sponsored this post and I can tell you all about it. 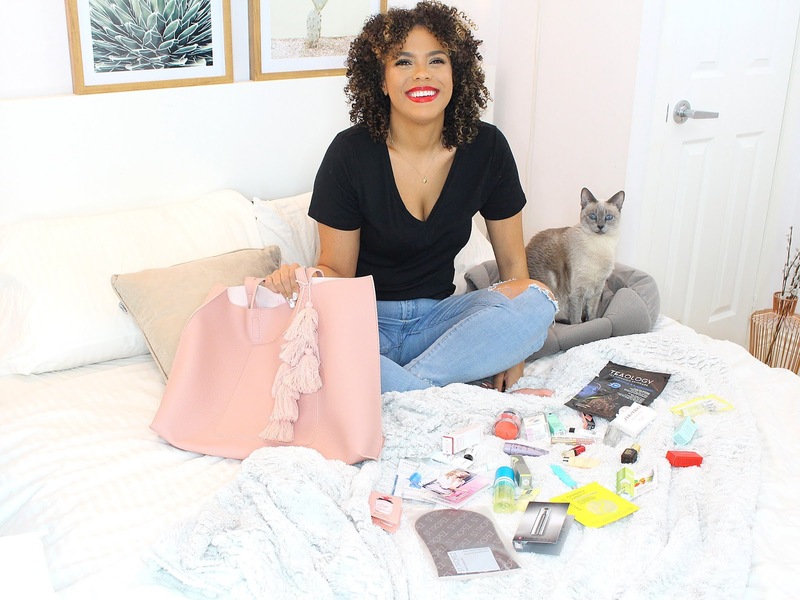 Yes, this bag is included with your gift with purchase - I’m totally taking it with me on my vacation to escape this snow, along with some of the travel friendly products included. There’s something for everyone, whether you want to keep it all to yourself or split among friends/family, it contains skincare, makeup, body and perfume! From February 21st until March 6th Murale customers who spend over $150 will receive this Spring ready bag loaded with over $338 of deluxe size samples! Key word being deluxe, free goodies are always nice but this is such a good way to figure out if you truly like something by testing it a few times. Even better, if you already know you like it you can tuck it in with your travel products to keep your routine the same on the road! Another bonus for the PC Optimum Point collectors is your bag includes 45,000 bonus points when you spend $125 on almost anything at Murale from March 7th to 28th/2019. 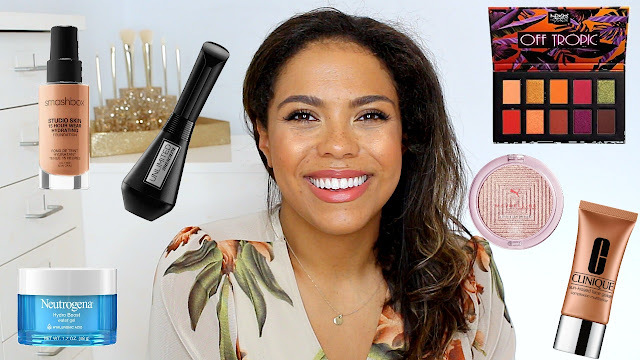 But back to the gift with purchase at hand, let me show you just some of my top picks from the bag! This is probably the first item my eyes gravitated to, I love a red lip and Bobbi Brown is a new brand to Murale. By the way, it’s the shade I’m wearing in the above photo. So nice right?! It’s the Bobbi Brown Luxe Liquid Lip High Shine a luxe and comfortable liquid lip with tons of pigmentation and great wear time. 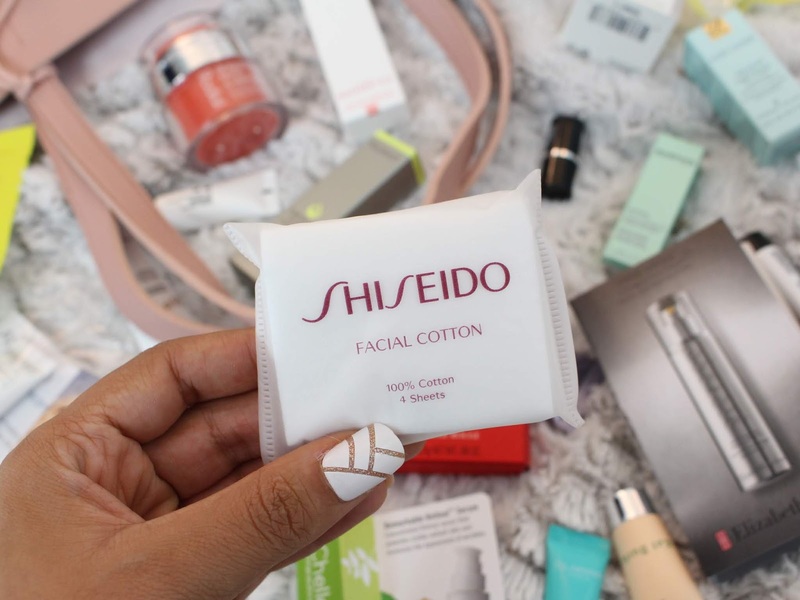 If you’ve yet to try or be convinced to pick up the Shiseido Facial Cotton, this is the perfect time to figure out what all the hype is about. They are totally worth the hype, especially when comes to makeup and nail polish removal. The soft but strong 100% cotton holds up so well and I end up using less pads overall. I have the full size of this in my skincare collection and I love it! The Clarins Pore Control Serum helps to smooth the skin texture and add radiance. Great for normal, combo and oily skin types and I really love this in the daytime - makes a great base under makeup. the facial version of this. I’ve always been intimidated by self tanning but the St. Tropez Self Tan Purity Bronzing Water Mousse is a super lightweight, vegan friendly formula. Best of all, the full size, best-selling tan applicator mitt is included in the bag so you have everything you need to get started! Rodial makes beautiful skincare so I was really excited to see the Dragon’s Blood Sculpting Gel. It’s formulated to stimulate the production of collagen and improve elasticity. I love that it has a gel texture so it doesn’t feel heavy or greasy on my skin. I know it seems like I’ve tried a lot of products, because I have but that leaves me in a place to tell you how many gems are in this bag. The Smashbox Photo Finish Mattifying Primer Stick is one of them! It’s one of the first primers I really feel like made a difference in my makeup wear, it helps to mattify and smooth the skin leaving my makeup looking better for longer. This is such a nice mask, fun to use too! The StriVectin Multi-Action Blue Rescue Clay Renewal Mask reduces the signs of aging and fatigue along with enlarged pores, rough texture and dullness. It goes on a creamy white but as you rub it in it turns blue! I really felt a difference after just one use. I like that it has clay but didn’t leave my skin feeling tight or dry. Teaology is a brand that’s newer to me, as is a sheet mask that is for your neck too. It makes complete sense and is totally genius! I know I can totally ignore my neck when it comes to skincare so this mask is perfect. It’s formulated with Blue Oolong tea to hydrate and brighten. This is such a classic scent that I think most would enjoy - it’s also a generous rollerball size that will last you a long time! Clean Fresh Linens is a super soft, and as they say fresh scent that is supposed to evoke feelings of a sunny weekend morning. Delightful! From February 21st until March 6th Murale customers who spend over $150 will receive this Spring ready bag loaded with over $338 of deluxe size samples! These are just a few of the items available in the Murale Spring Fab and Free Gift with Purchase, there’s much more to discover, I’ll leave that up to you! *This post is sponsored by Murale by Shoppers Drug Mart, all thoughts are my own. As a foundation junkie and fan of their stick foundation so excited to see a new foundation launch from Hourglass. 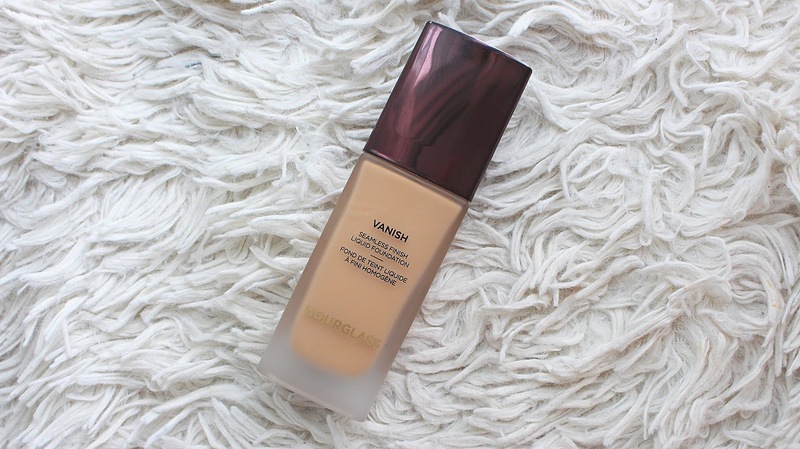 The Hourglass Vanish Seamless Finish Foundation Liquid launched not long ago and retails for $56USD/$68CAD. I'll have a full review and wear-test coming up on my channel Thursday. In the interim, here are some swatches to hopefully help you choose your shade. 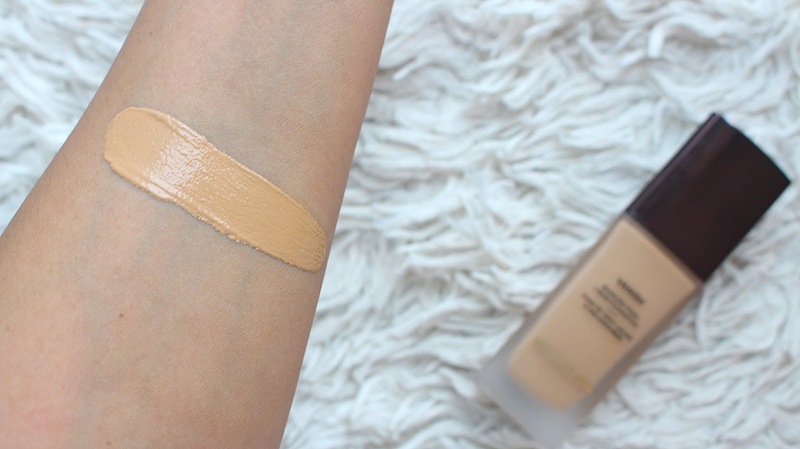 I'm wear Golden Tan in the Hourglass Vanish Liquid Foundation, the same shade I wore in the stick foundation which I also reviewed, see that here. 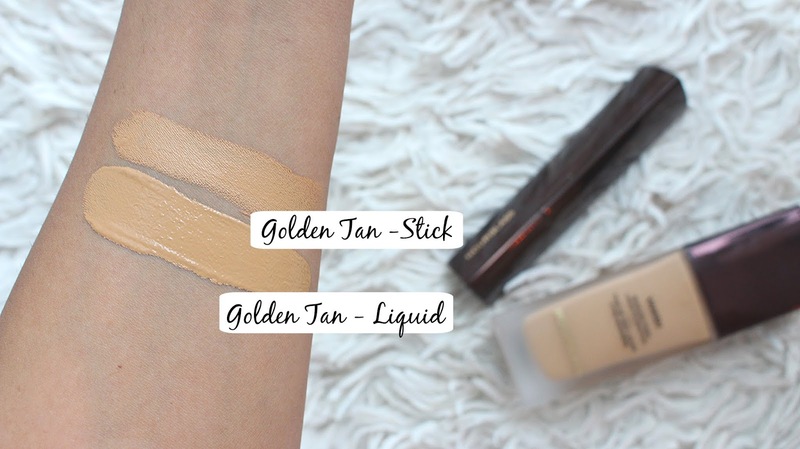 The Hourglass Vanish and Liquid shades of Golden Tan are very similar, it's hard to compare directly as they are different textures but if I could say anything it's that the liquid is slightly more yellow and less golden than the stick. For me, seeing swatch comparisons to other popular shades is the best way to picking a shade next to going into a Sephora for a sample .. I also recommend YouTube reviews, finding someone with a similar skin tone is so helpful! 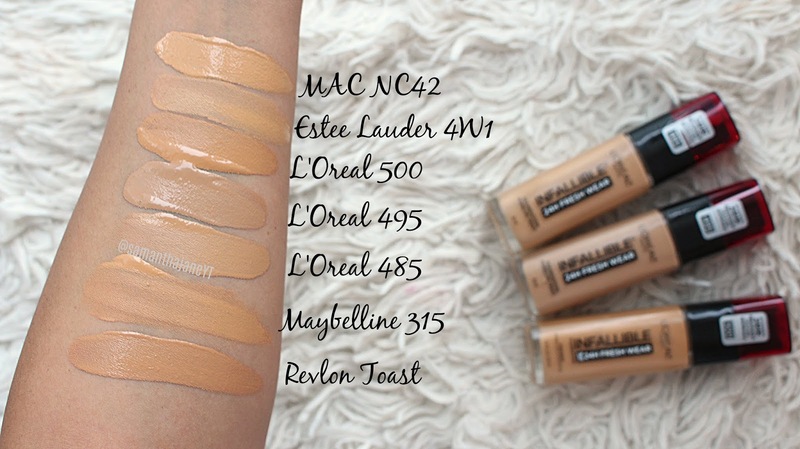 *This foundation was sent for my review, all opinions are my own and links are affiliate.